Lipid metabolism is increasingly popular in recent years. Lipidomics analysis is the most powerful technique for large scale analysis of lipid molecules. Untargeted lipidomics using high resolution mass spectrometry is the mainstream due to the wide coverage of lipids. This review discusses the major platforms of untargeted lipidomics from lipid extraction to molecular assignment. Various false positives are also summarized to improve the confidence of untargeted lipidomic analysis. Quantitation of cellular or organellar lipid composition is essential to understand lipid physiological function. 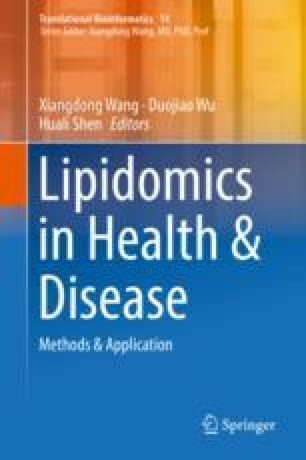 Therefore, the approaches of quantifying different lipids are included in this review.